My first dog friend was a giant who lived down the street from our apartment. He was so tall I could walk underneath him without bending down. I remember begging my dad to go for walks so I could visit my very large, very patient friend. It was the beginning of my love affair with animals. We moved to the country when I was 3 and there followed a steady stream of dogs, cats, cows, chickens, parakeets, horses, small rodents and reptiles, and Napoleon the box turtle. I loved them all, each and every one, and later was equally smitten by every member of the animal parade that graced my adult life. But … Though my family was ahead of many in their acceptance of “extra sensory” events, that acceptance applied only to humans. All those brilliant animal beings who shared my life were but “animals,” lesser creatures, incapable of thought or communication beyond the barks, chirps, whinnies or whatever sounds were allowed by their particular biological makeup. Regardless, I never believed in those limitations and always knew animals were far more than that. How to converse with them was another matter. In the mid-1980’s, the city girl I had become met and fell head over heels for llamas: beautiful, elegant, aloof beings with a stunning natural ability to sooth and calm humans – even me in rush hour traffic. I returned to the country a year later to live with a very small herd of llamas and heard the first mentions of something called “animal communication.” What?! How does that work? What do you do? Who learns the other’s language? I had all kinds of questions. I did get answers and some training and practice, but it took another 15 years. I know I needed that time for all the things required to be me now, including two college degrees, a return to the city, and years as a mental health clinician and an educational therapist. After that I was ready to start the work with animals that I do today. In this amazing work, I’m an Animal Communicator, Healing Touch for Animals™ practitioner, Reiki Master/Teacher, channel for the Animal Collective, and the founder of Sharing Animal Wisdom: Building a World Community. I do private communication and healing consultations with all species, using flower essences, crystals, crystal essences, and essential oils as needed for healing and to support behavior changes. I teach Animal Communication and Healing Our Animals – a group healing approach for animals, and lead Sharing Animal Wisdom First Gatherings and Wisdom Circles for both children and adults. My work is ever changing and expanding, always a blessing. Oh, yes. All of that time, all those experiences, all of the effort put into learning and practicing … and what do I know without question now? That each and every human being comes into this life prepared, capable of communicating with animals. It’s just that many of us forget for a while. We can all remember when we’re ready. The simplest way to explain animal communication is as a telepathic connection between an animal and someone communicating with them. In a consult, human members of the animal’s family sit in on the conversation while I “talk” with the animal and with you. Because my connection with the animal is purely energetic, we can be in different locations and he or she may be eating, playing, sleeping, or even appear to be paying attention during a consult. Animals are amazing multi-taskers. I do most consults over the telephone with a photograph of the animal to help make the connection faster. For clients wishing an in-person consultation, I make periodic appearances at pet supply stores, fairs, and other events where animals may be welcomed. If my scheduled appearances don’t fit your needs, I will travel to your home or other locations in the Denver area. How do you schedule a consult? Contact me through this website, by email, or by phone. I am available for consults at a variety of times during the day and week, so daytime, evening, and weekend hours are all possible. While I cannot guarantee availability in case of an emergency, I do my best to accommodate emergent situations. How do you prepare for a consult? Either before or after we have scheduled a consult, take a little time to be as clear as possible about what you want to learn from the conversation with your animal. You may have quite specific questions about relationships, health, or behaviors or you may simply want to get to know your companion better. Talk to your animal companion, too, to let her know that a consult is planned. At the time of the consult, please be in a quiet place where you are unlikely to be interrupted. You are welcome to have other family members or friends sit in on the consult, but please introduce whomever is joining us. Your animal companion or companions can be with you if you wish. Remember that they need not be awake or visibly paying attention to our conversation. What happens in a communication consult? At the scheduled time, please call the telephone number you were given when we scheduled the consult. After any introductions and a brief conversation about what you wish to learn, I usually begin by greeting your animal and checking to learn a little about his temperament and how he is feeling at the moment. Her answers and your responses to them (and sometimes my own questions) guide the conversation for a few minutes and then we’ll move to any specific questions you have. I am trained in several energy healing modalities and use essential oils, flower remedies, aromatherapy, crystals, and crystal essences to assist animals with any adjustments they seem to need. I may recommend one or more of these for your companion or make a referral to another practitioner if I believe that will better help resolve any problems. One half hour is enough to address several basic questions with one or two animals. I can connect with three to five animals in an hour. In depth conversations, particularly with several animals, may require more time. Can we talk with animals who have passed over? Simply, yes. Talking with animals on the other side is very much like talking with those who are in their bodies. We can schedule a consult only with an animal in spirit or include him with your other companions. We all come into our lives prepared to communicate with animals … but some of us forget our ability as we go about growing, and learning, and being humans. In this three hour class, you are guided to remember how to connect with animals, be aware of their ongoing connection with you, and share their wisdom. You’ll learn how to open to an animal for communication, what kinds of senses you may use, and then practice with an animal who is present with us and with other animals who are at distance. This class is held at least once a year, depending upon interest. Dates are usually announced six to eight weeks before the class day. Fee for the class is $40. Once or twice a year, I teach a two-hour version of Talking with Animals as the first class in a five-part series in connection with the Misha May Foundation (http://www.mishamayfoundation.org/). I will announce these classes as they are planned. Scheduling and fees are set by Misha May. What is Sharing Animal Wisdom? Sharing Animal Wisdom is people learning from animals and working with them to heal ourselves and our earth. In our Gatherings, we join with the animals energetically, intuitively, and physically as they help us understand the needs of the earth and all of her inhabitants for recovery and restoration. Sharing Animal Wisdom grew out of my sense that something was missing from my much loved work as an animal communicator, healer, and teacher. When I opened to guidance, I was led to my connection with the Animal Collective and learned that they had “hired” me as one of many “District Directors” worldwide. My job is to recruit other humans to help restore the harmony and balance with our earth and ourselves that we have lost through mismanagement of our planetary home. The Collective is quite certain that when humans join with animals and other beings living on and in our earth, we can heal the earth and all her inhabitants, ourselves included. If you are reading this, you may be a recruit. Yes, I am humbled. Who Is the Animal Collective? The Animal Collective shows itself to me as a group of the oversouls of all the animals in many dimensions, from the smallest insects to the largest vertebrates. The Collective has its own voice. Different species and/or individuals from the species may speak depending upon the messages they wish to convey. How Does Sharing Animal Wisdom Work? Sharing Animal Wisdom consists of two programs, one for adults and a new program for kids in two groups by age, 7-12 years and 13-18 years. Both programs follow the same outline with changes to Kids Sharing Animal Wisdom that reflect age appropriate content and locations. Participation of a parent or guardian is required in the Kids program. A First Gathering is the starting point. We come together to connect with each other and with our animal guides. Through meditation and conversation, we share the animals’ messages with one another and begin to listen to and work with the animals. After your initial First Gathering, you are welcome at future Gatherings without charge. There are at least six First Gatherings each year. 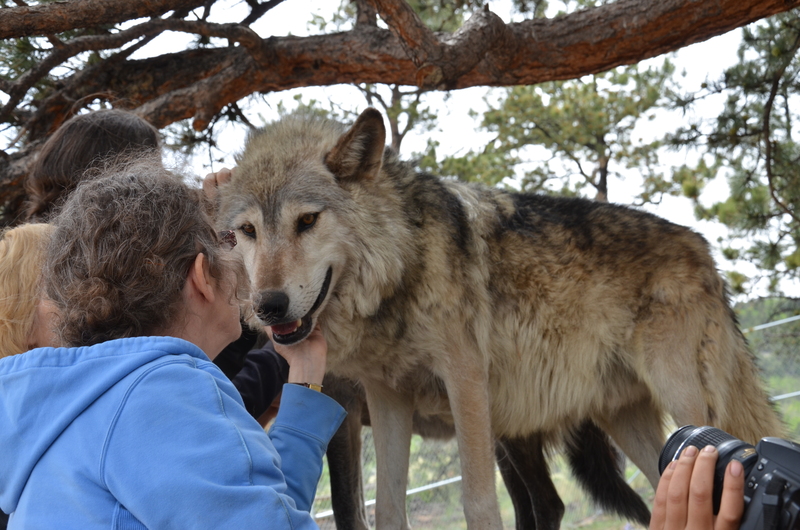 The program continues with Wisdom Circles, where we connect with animals in many ways and places. We may do guided meditation or healing in a home or park, travel to an animal sanctuary created by humans, or learn from animals in a wild place where we are very much the visitors. Anyone who has taken part in a First Gathering is welcome to join the Circles. We hold eight or nine Wisdom Circles a year. Each of us is capable of channeling Universal healing energy for the benefit of animals and ourselves. In this class, you’ll learn and practice ways to connect with this energy and use it to support and heal your animal companions. The healing work by itself brings you closer to the animals and makes communication with them easier. Beyond that, our work as a group deepens both our understanding and the healing process. There is space available for a limited number of dogs in each class on a reservation only basis. I appear at several metaphysical fairs in the Denver area each year and often speak sometime during each fair. In addition, I do consults at selected pet supply stores during the year and periodically present at area MeetUps and other events. Of course, I’m always honored to speak with you and your animal companions by appointment. Sat., March 26, 2016 Two Classes benefitting Misha May Foundation: Introduction to Animal Communication, 11:00AM – Noon, and Crystals & Essences for Critters, 4:00 – 5:00PM. These classes are part of an all-day animal communication series. See http://www.mishamayfoundation.org/ for information and to register. Sat., April 2, 2016, 11:00AM – 4:00PM Kriser’s Natural Pet, Belleview Square. Your small animals can come with you for a consult. Bring photos if they’d prefer to stay home. Contact me to reserve your space in advance. $20 for 15 minutes. 4930 So. Yosemite St., Greenwood Village, 80111. 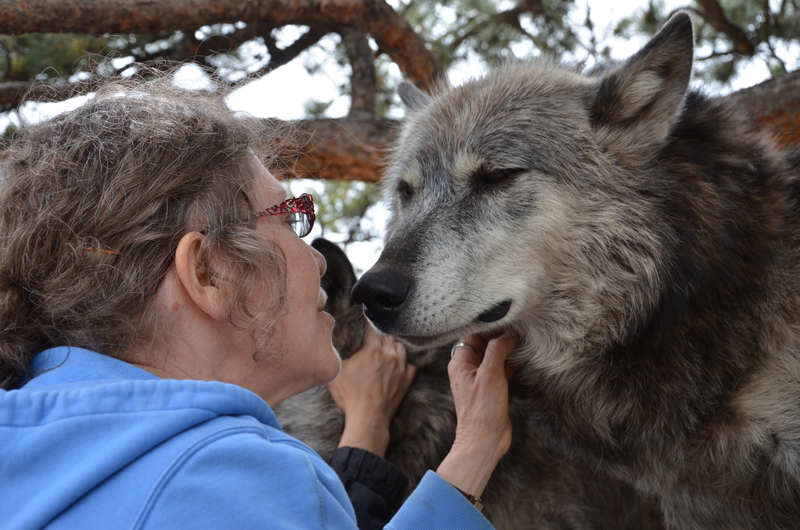 Sat., April 30, 2016 Two more classes for Misha May Foundation: Introduction to Animal Communication, 10:00 – 11:00AM, and Crystals & Essences for Critters, 11:15AM – 12:15PM. These classes are part of an all-day animal communication series. See http://www.mishamayfoundation.org/ for information and to register. Register here for animal communication classes and consultations, for healing classes, and for Sharing Animal Wisdom Gatherings. Discounts apply for early class registration. I can take cash, check, money order, credit and debit cards, and of course Paypal. One half hour is enough to address several basic questions with one or two animals. I can connect with three to five animals in an hour. In depth conversations, particularly with several animals, may require more time. Learning from animals and working with them to heal ourselves and our earth. Learn to channel Universal healing energy for your animal companions in a powerful group setting. The Sharing program for kids ages 7-12 and 13-18. A class in animal communication for first timers or anyone who wants to practice and enhance their skills. Thank you for such a beautiful day and beautiful experience Melinda. I'm not sure what I was expecting [from Healing Our Animals] but it was truly so wonderful and spiritual and I learned so much. My eyes were opened to a whole new world. Izzy sends her thanks as well - our lives have been so much more peaceful and playful. She has been giving me more "loves" and getting closer for longer periods of time. Thanks so much for such a fantastic experience! My dog Cody became terribly freaked out for no apparent reason. He was cowering and hiding in closets. I had no idea what kind of trauma he had suffered. Melinda helped both Cody and I to understand what had happened and to provide healing for both. We brought our dog to see her at Kriser’s and she (our dog) had a change in behavior and attitude the next morning. I was pleasantly surprised. I highly recommend Melinda’s services and classes! I had a friend who’s pet turtle got out of the yard and I called Melinda and she was so right on! She told me where she saw the turtle and how he was feeling and days later my friend did find the turtle exactly in the kind of place she was seeing him! She was really good. I recommend her! Our beloved Harriet was diagnosed with kitty lymphoma in October. We lost her just shy of two weeks later. Unfortunately, we did not find out in time to save her. The silver lining was meeting Melinda. She helped me understand Harriet’s transition and how I could best support her in the process. With her help, I was able to keep Harriet comfortable and really be present with her in her final days. I called her again under happier circumstances for help deciding whether to adopt two elder kitties in need of a home. (They arrive this weekend!) What I love about working with an animal communicator is coming to understand the complex perspectives the cats have on their relationships with us and each other. What I love about working with Melinda is her gentleness, compassion, humor, and her genuinely kind and caring nature. She is also quite knowledgeable about holistic and energetic medicine for the cats. Give her a call! What you told Ruff made everything fall into place. For Ruff, for Harold, and for me. You have a wonderful gift. Thanks for sharing. Keep in touch. We would love to connect via social channels. Do you have a special challenge with your animal companion? Contact us, we will give you the insight needed. 2017 All rights reserved. 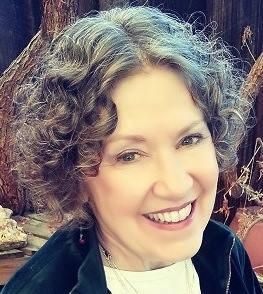 Melinda Gillette copyright.